With around 30 pieces today’s build certainly packs a lot in. We appear to have a bridge, and if I were a betting man (I may or may not be a betting man: I will leave that to your judgement), I would put my money on it being Venice or somewhere like it. The arches provide a place for small turrets, handrails and plants to be placed. Although slightly out of scale, A duck watches on. 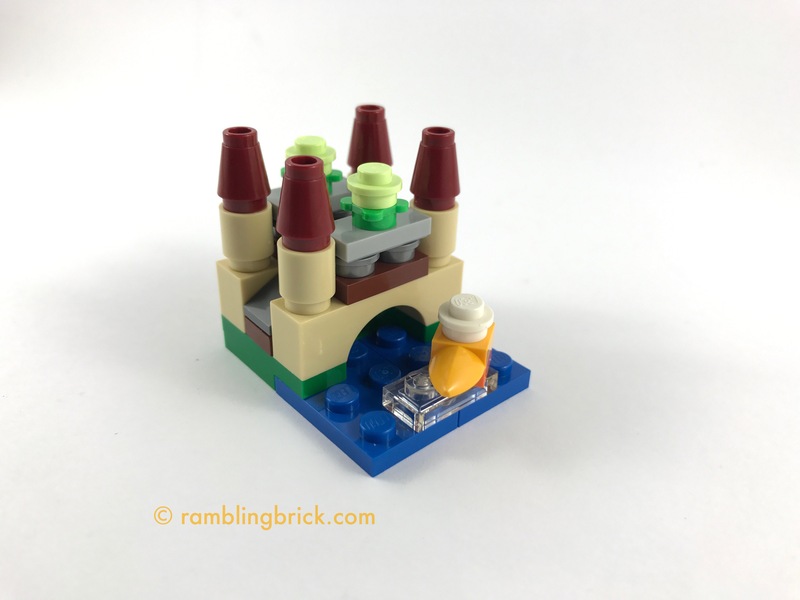 This is a great build that which reminders what can be done with a handful of pieces.